Following the trend of bonds with social responsible investment, BancoEstado issues its third bond this year in the International Market. Global Finance Magazine published their annual study on the world’s most secure banks, highlighting leadership of our financial institution in the region. Both institutions have been working together for more than 15 years, and this is the first loan for financing the subsidized purchase of new houses with the corresponding certification. Banco del Estado de Chile (“BancoEstado”) priced today a JPY10 billion, 10yr fixed rate Women Bond. This marks BancoEstado’s third Japanese Yen denominated offering and its first ever SRI bond in any market, and the first 10yr offering ever from a Chilean institution in the Japanese markets. Jessica Lopez was appointed member of the Governing Council of the Latin American Association of Development (ALIDE), a post which she will hold until 2018. This placement, which totalled UF 5 million, was carried out in two series in a period of five years. 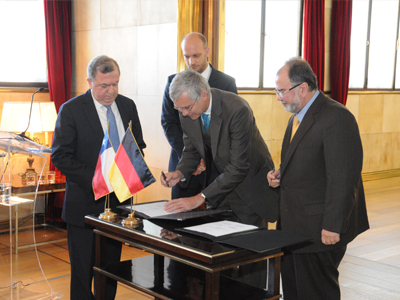 The Executive Committee of BancoEstado, comprised of its Chairman, Jorge Rodríguez, its Vice-Chairman, Enrique Marshall, and CEO, Jessica López submitted its 2015 balance sheet, referring to the fact that the bank is the only financial institution capable of breaking down the barriers to the financial system. 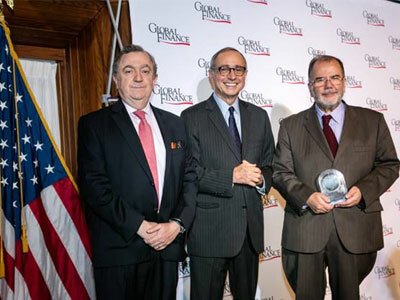 This is the fifth consecutive year that Global Finance has named this public bank as the safest financial institution in Latin America. 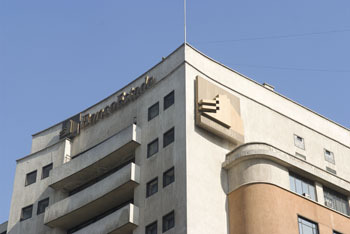 BancoEstado is among the “top 50” in the world ranking.